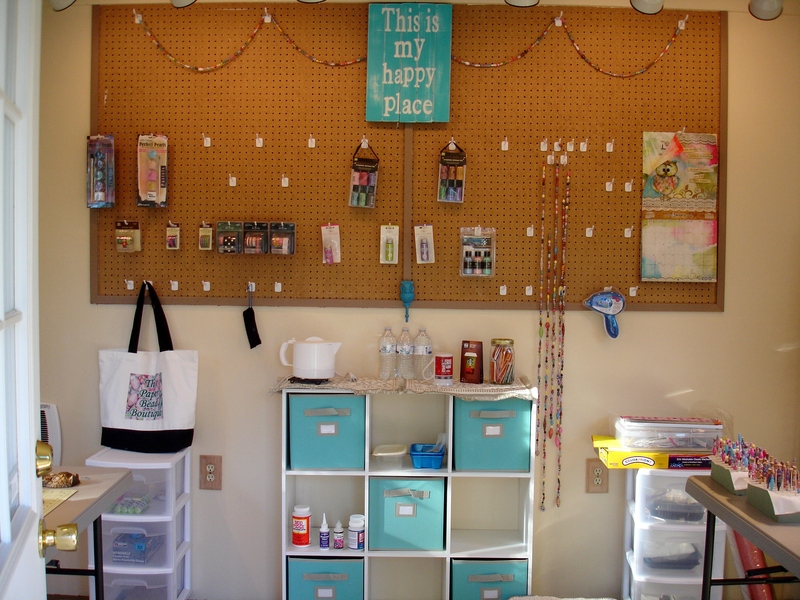 A Quick Walk Through of my Outside Studio! 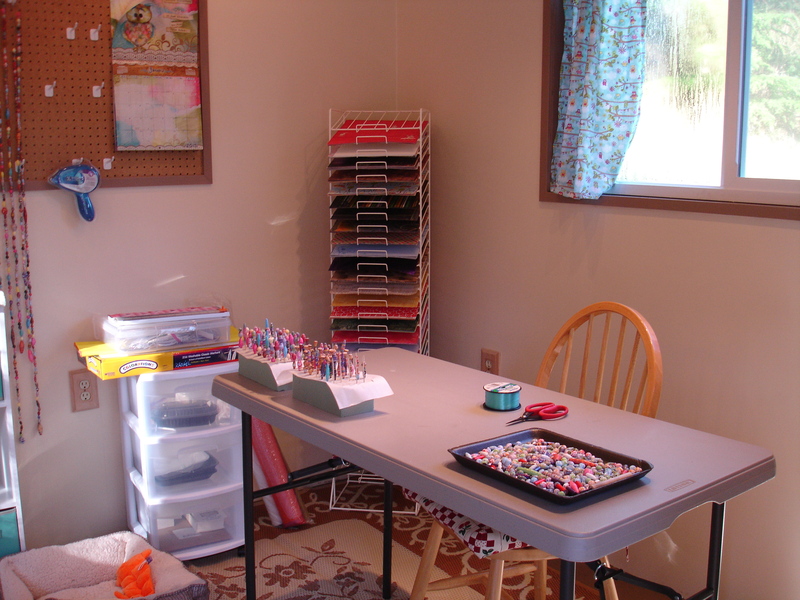 Good Afternoon Paper Beading Friends! It’s been such a beautiful weekend and I’ve been fortunate enough to be able to spend some time in my outside studio, I wanted to share some pictures with you! Keep in mind, it still is a canvas in the making! As the weather get’s nicer, I will be spending more time out there and will be able to add more to it! 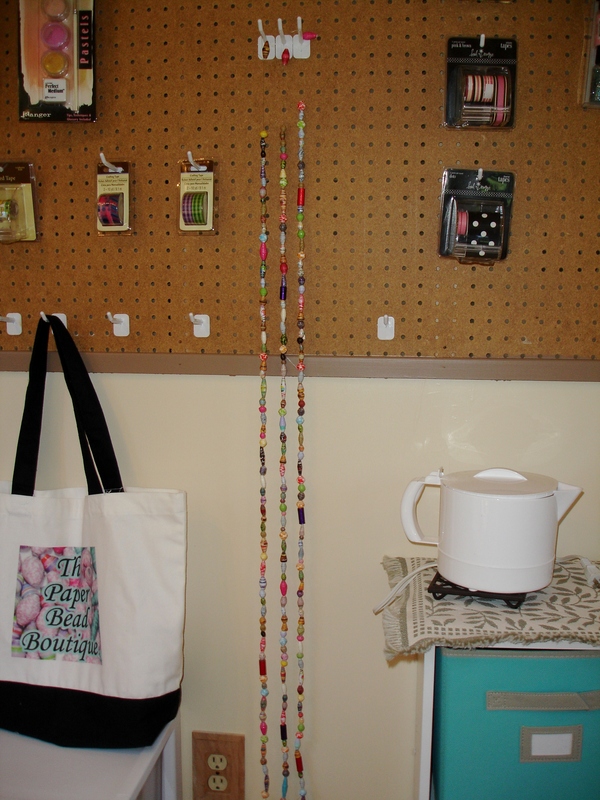 This weekend, I’ve spent a great deal of time working on my paper bead curtain strands! VERY TIME CONSUMING! This next one is a view at the front door looking in! Various views from around the room, which is only 10×14 feet! So that’s it in a nutshell! I found an old rocking chair in a thrift store and a cute little plant bench in an antique store, both for the front porch which I am working on and will have a new picture for you in a week or two! Have fun where ever you get to create! 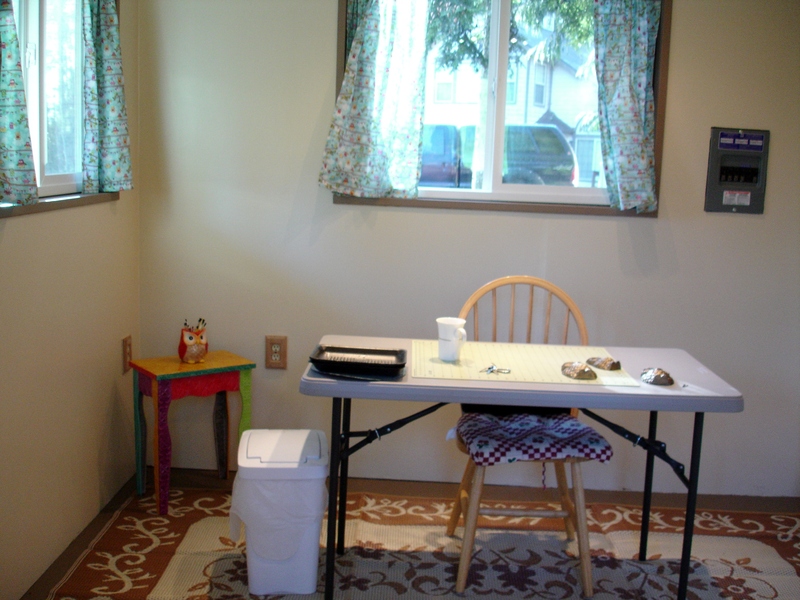 Until next time, Happy Beading! 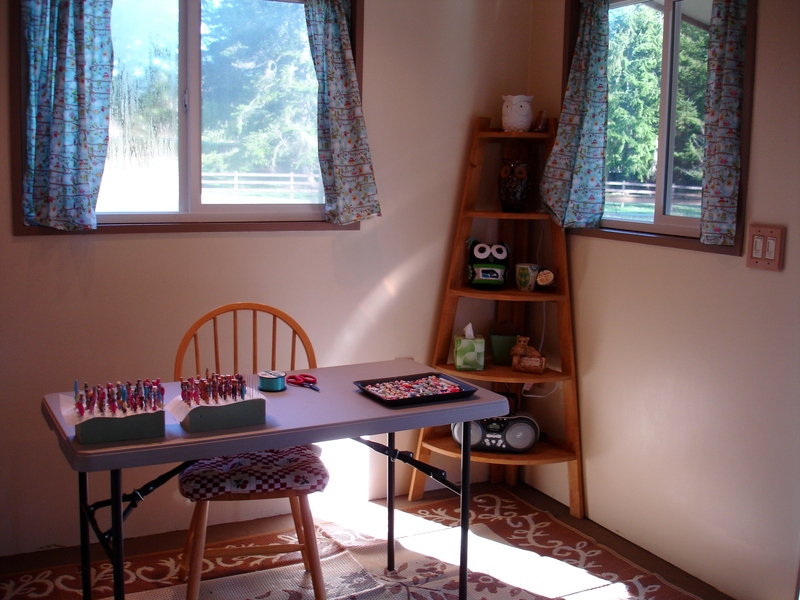 Thanks for sharing – is awesome – hope the spring comes quickly and you get to do much more outside – keep beading! Thanks Vallee! I sure appreciate you stopping by and giving me your feedback! Aways! Love reading what you are doing and seeing! Very nice! 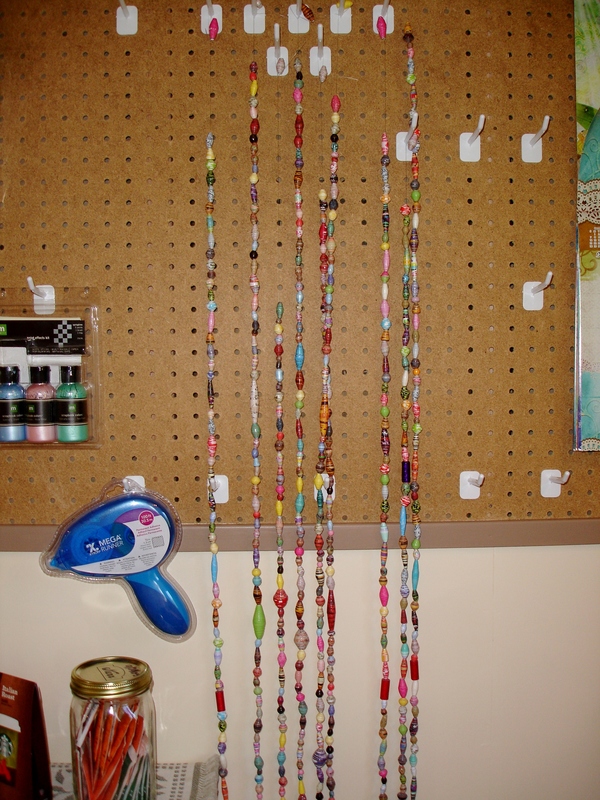 I had a bead doorway in my first apartment. I bought it. it was made from brown wooden beads. I loved the click click it made when I walked through. Nobody could sneak up on me. 🙂 I look forward to seeing the progress as it happens.